Providing Broadband Has Hurdles, but is Possible. 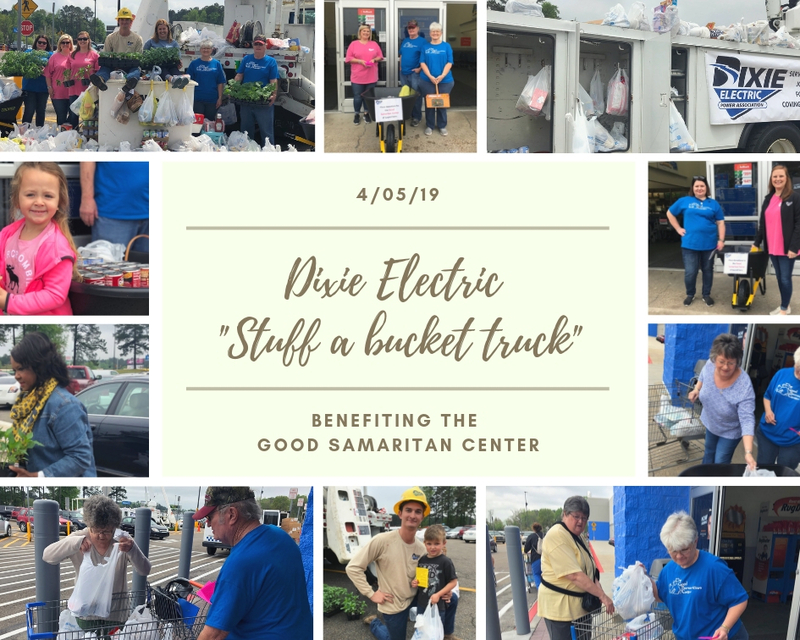 On Friday, April 5, 2019, Dixie Electric hosted the "Stuff a bucket truck" food drive at Walmart in Laurel. This food drive, consisting of non-perishable food items, benefited the Good Samaritan Center of Laurel, who is an organization currently trying to end hunger here in our community. Volunteers from Dixie Electric, as well as the Good Samaritan Center, were on hand from 8 a.m. to 3 p.m. to greet shoppers as they entered the store and provide them with information about the food drive. Items began to pour in from shoppers as well as local members of the community. The bucket truck filled very quickly! Due to the generosity shown that day, Dixie Electric was able to fill two truck loads of non-perishable food items, as well as seeds and vegetable plants for their garden, for the Good Samaritan Center. Dixie Electric cares about the communities in which we serve. After all, we were built by the community, for the community. This food drive was just one of the ways we are living out our seventh Cooperative principle, Concern for Community.